Adding more color and fun in your life with this fine and stylish ribbon bunting at your important events or occasions. Premium Quality tassel garland, made from carefully selected ribbon, can be reused. Strings on both ends for easy hanging, you can directly hanging the bunting in any place you like, just like on the ceiling, window frame, branches. They're also fabulous to use as a photography backdrop. Amazing party stuff, Can be used at baby's 1st birthday, baby shower, party decorations, wedding and more. 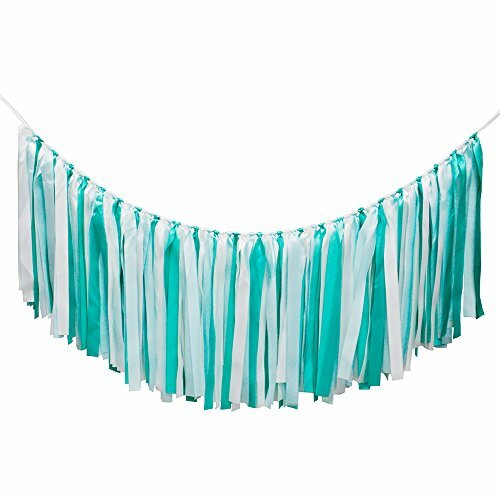 With these beautiful, chic and colorful ribbon tassel garlands, to create a warm and sweet atmosphere to all your outdoor or indoor gatherings. If you have any questions about this product by UPRetailer, contact us by completing and submitting the form below. If you are looking for a specif part number, please include it with your message.